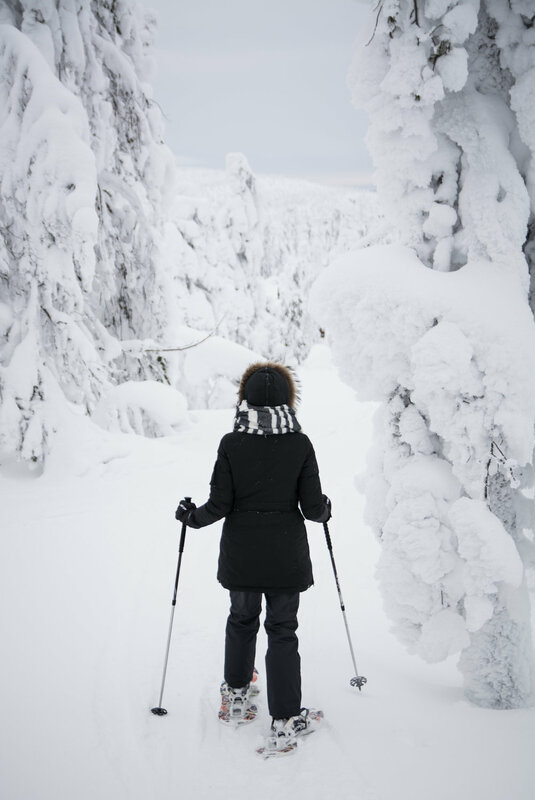 The largest and northern most region of Finland, Lapland is a winter wonderland. 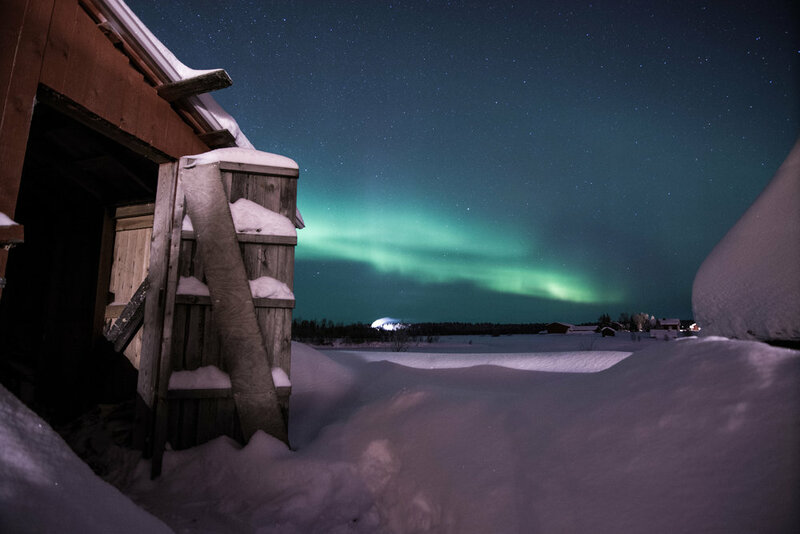 It is home to the Sami, the native people of northern Europe. Their culture revolves largely around reindeer herding, in which they roam the countryside freely for most of the year. 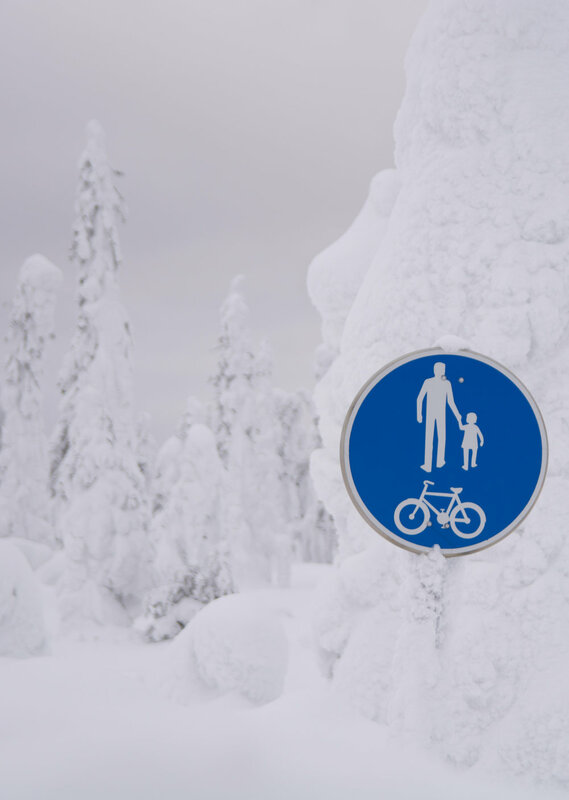 Its location above the arctic circle means extremely cold temperatures and copious amounts of snowfall. 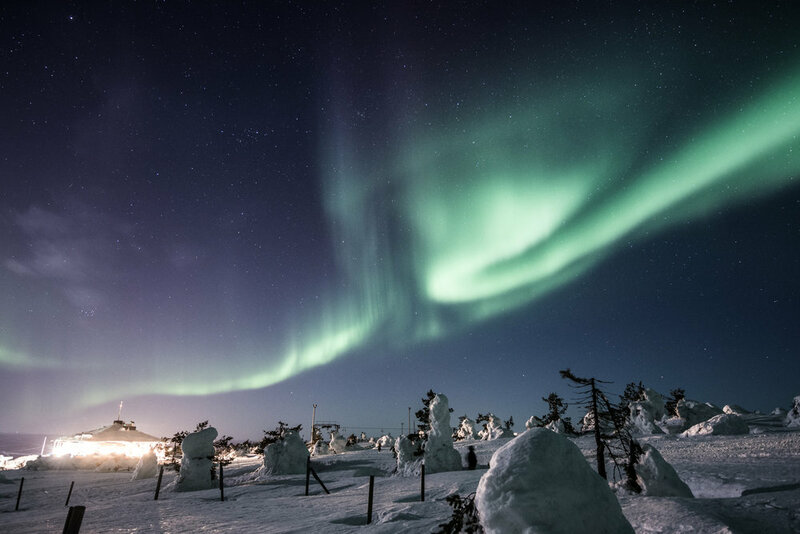 It's considered one of the best places in the world to view the northern lights, given it's high latitude and well developed infrastructure. 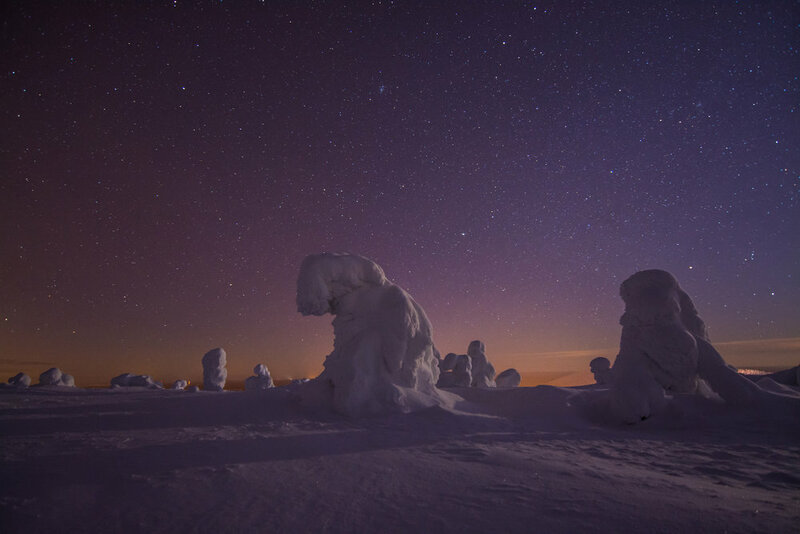 This gallery shows what its like in Lapland during the late winter months, after the sun has already started going above the horizon again. 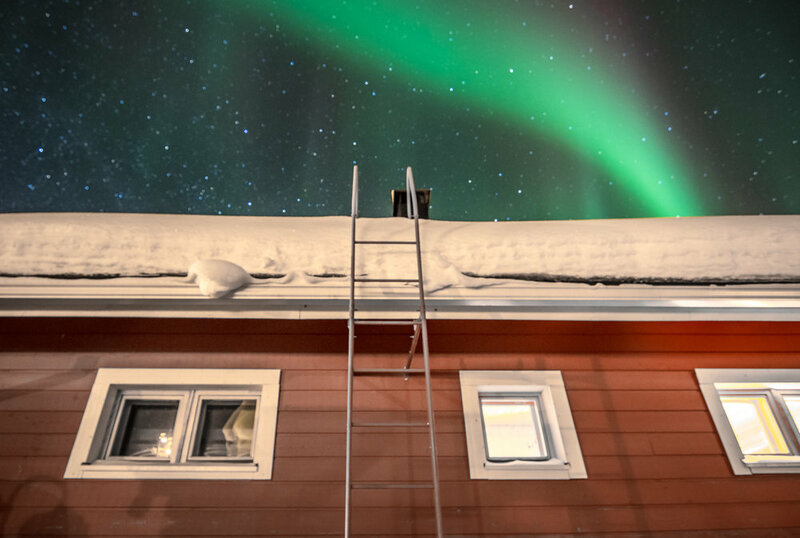 Kilpisjärvi, a tiny arctic village that occupies the northwest cape of Finnish Lapland. Norway and Sweden are visible in the background of this picture. There is no connecting bus service from the nearest town, Skibotn (Norway), during the dark winter months. Snow removal is serious business up here. The mountain (or fell) in the background is Saana, one of the highest in Finland and considered sacred by many Sami. A row of houses along Lake Kilpisjärvi. Self-portrait in Kilpisjärvi. First night upon arrival and the whole sky was green. 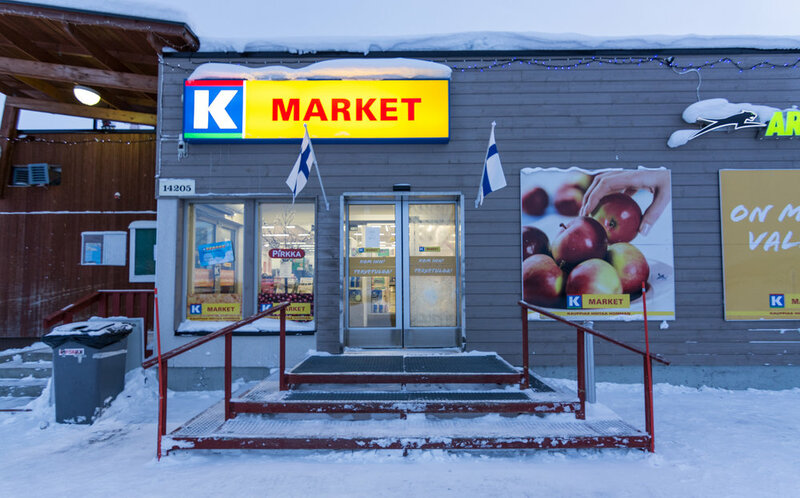 The only store in town, it has a decent selection of groceries for high prices. Still, it's full of mainly Norwegians that drive across the border to buy "cheaper" groceries and alcohol. I was the only person on the bus. Even up here, in a town of 114 people, they have a regular daily bus service that connects all the villages. 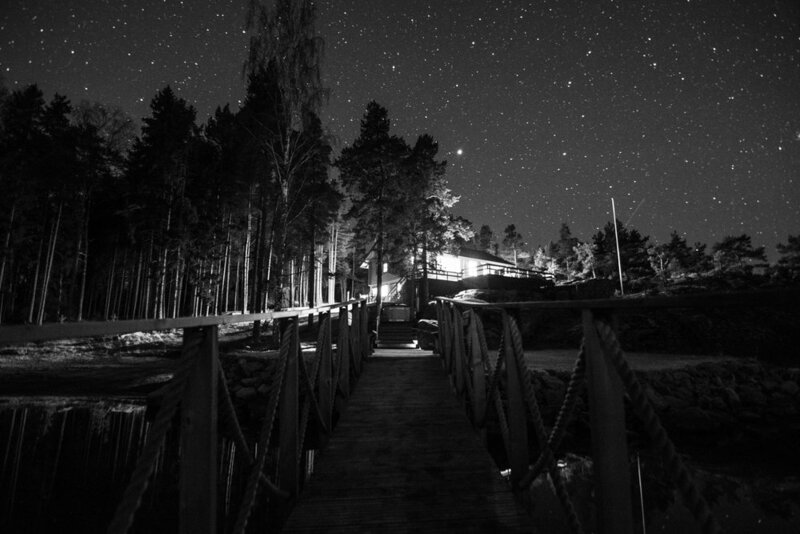 The northern lights during a full moon night in Hetta, Enontekiö. A house on the Ounasjärvi near Hetta. 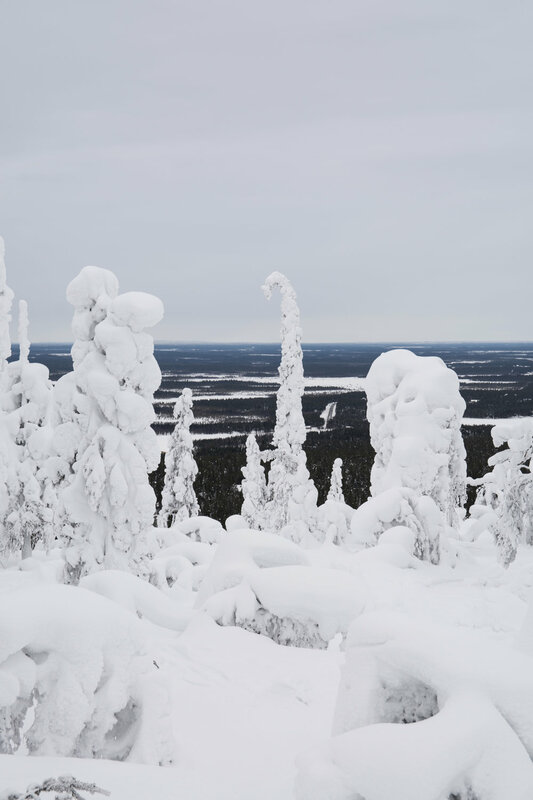 Although it's not a mountainous country, Finland does have many fells that give you quite a view. 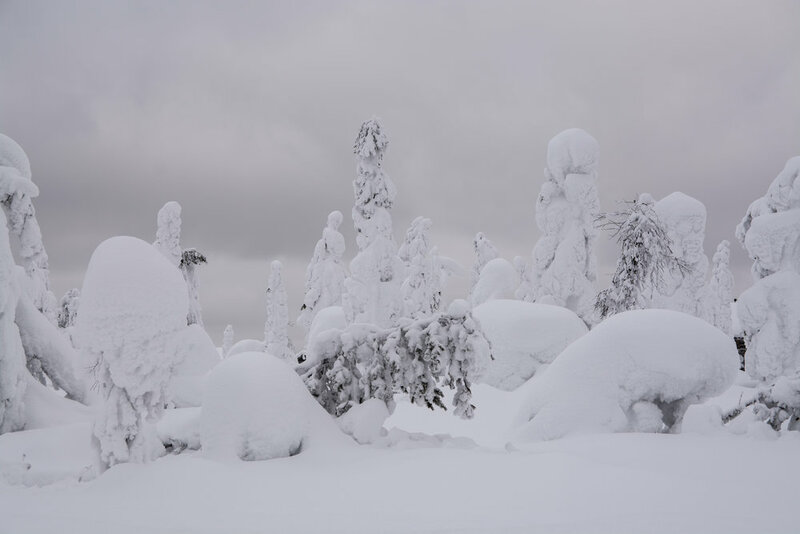 On top of the fells or "tunturi's", these pine trees straddle the tree line and get dumped on with massive amounts of snow. Towards the end of February/March, the accumulated snowfall combined with freezing cold temperatures makes them look like this. 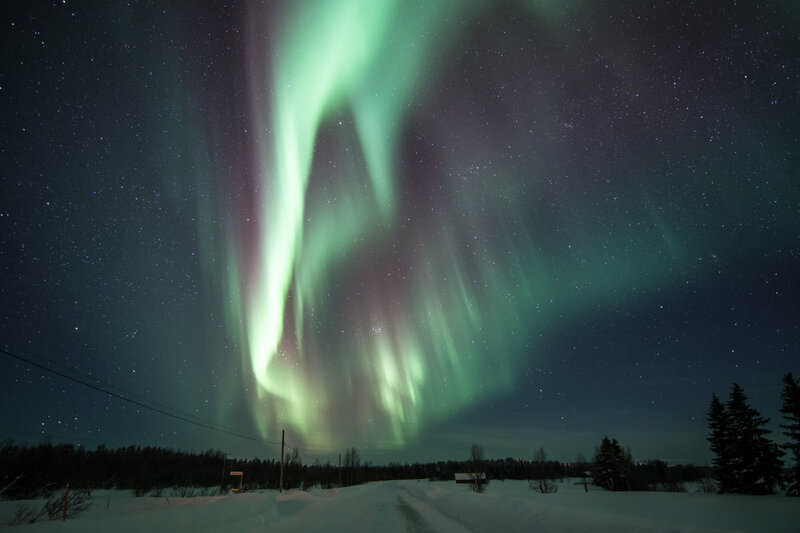 On clear nights, theres a pretty good chance of seeing some aurora. The problem is, its almost always cloudy. The constant snow means 2 weeks straight without seeing the stars is completely normal. 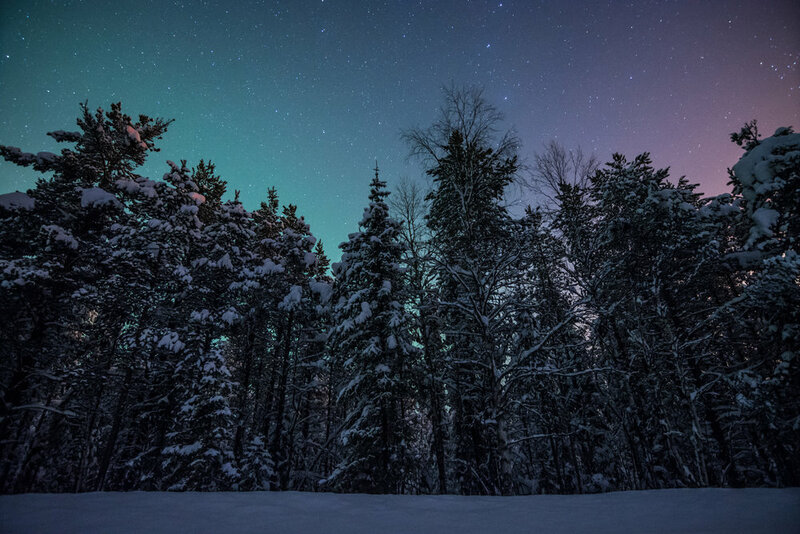 The clearest nights always seem to be the coldest, so when the temperature drops, thats your best chance to see them. Snow trees around midnight. The aurora never showed up this night, but the bright moonlight made the scenery look like another planet. A full moon combined with light pollution from the ski hill makes for some dramatic lighting. Traditional wood burning sauna in the village of Köngäs, with massive amounts of snow on its roof. The same sauna, a few hours later. Kotas are sort of like little warming huts where you can cook food on a huge grill in the middle. Almost every single house in Finland has a sauna, and many up north also have Kotas. When temperatures can reach -40F (fun fact: -40F and -40C are the same temperature), you need to stay warm somehow. The same Kota, a few hours later. The other building every home has is a woodshed, sometimes connected to a sauna, sometimes one connected to the sauna and kota, and home, and maybe an extra few scattered about. 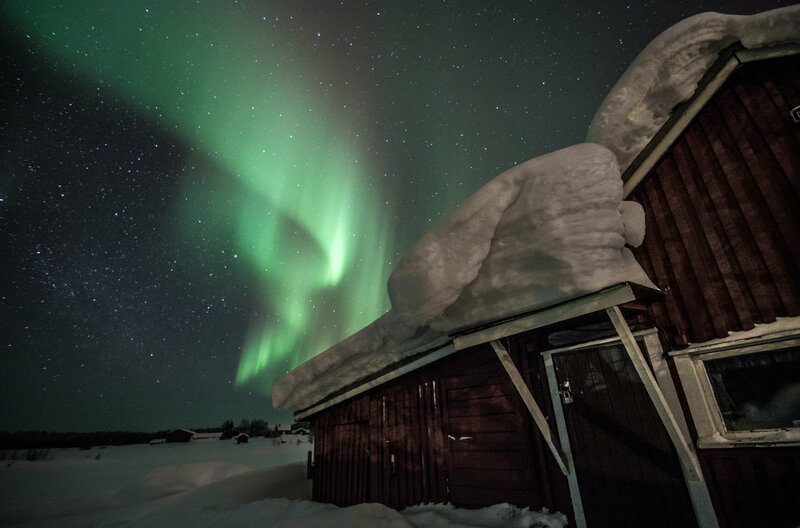 Most homes in Lapland consist of multiple buildings and look more like homesteads, where every building is centered around burning wood. 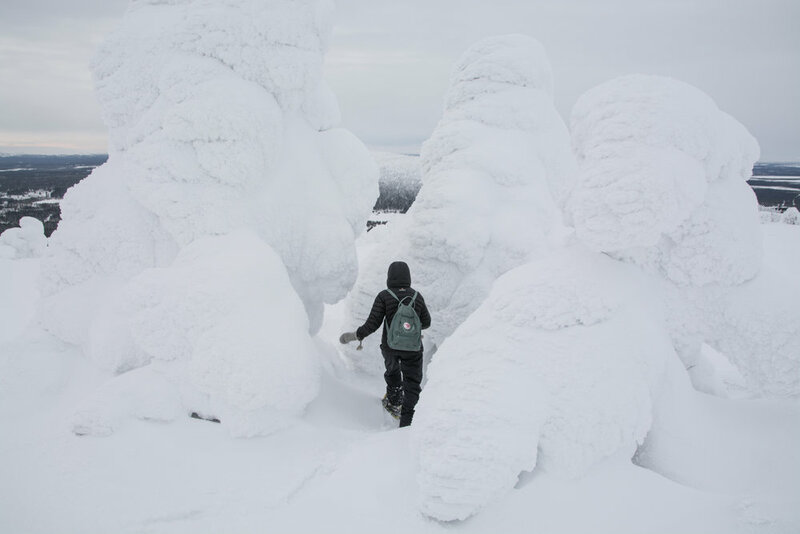 Leading a group of snowshoers across the top of Levi, in awe of the majestic snow trees. I dropped to almost shoulder level in snow while snowshoeing near the base of some of these trees. The snow is a lot looser and branches create large pockets in the snow. This is a fully functioning bar/restaraunt/warming hut at the top of Levi Ski Resort. Although not the tallest mountain by any means, if you can even call it that, it makes up for it by constantly looking like this. A faint aurora along the Ounasjoki river. 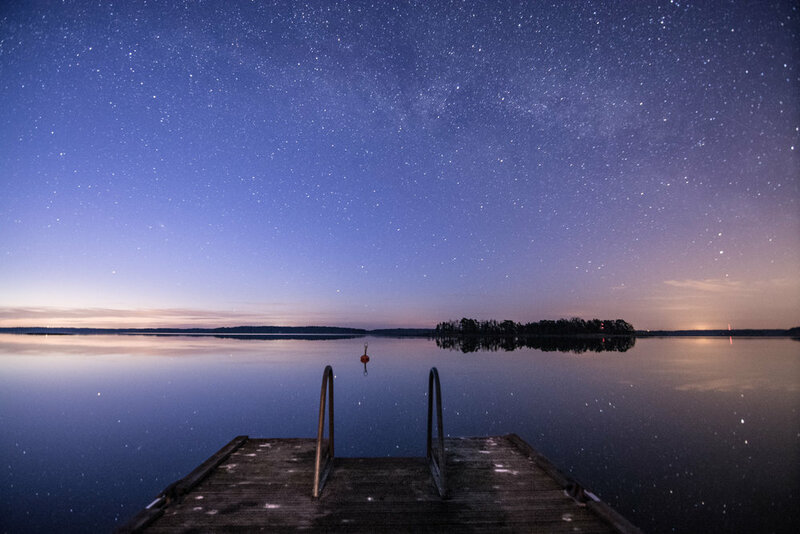 There's a lot of darkness during winter and even spring in the high latititude countries like Finland. Luckily the sky is usually doing something interesting to make up for it. It's almost as if someone was making these on purpose. 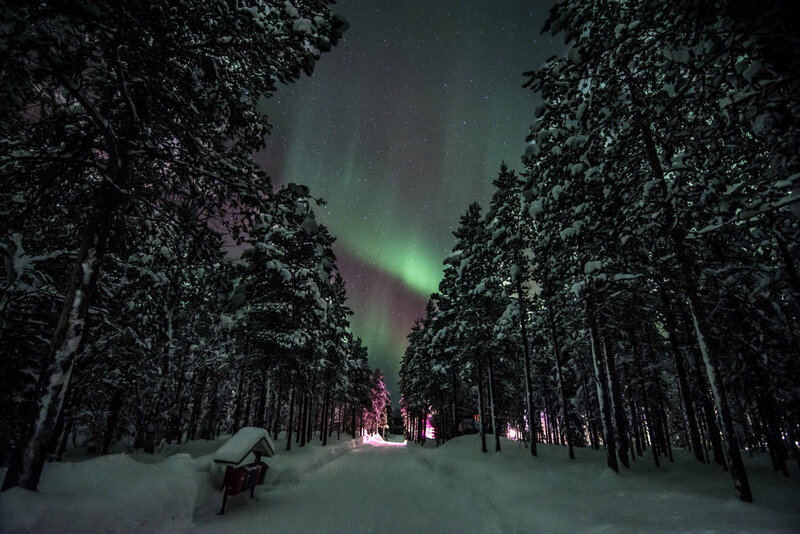 This was somewhere west of Inari, about as remote as you can get in Lapland. The roads were well plowed, and I didn't see a single vehicle for the entire 3 hour drive. Most houses here have ladders to the roof to make snow removal quicker. Maybe there's a trail here in the summer? 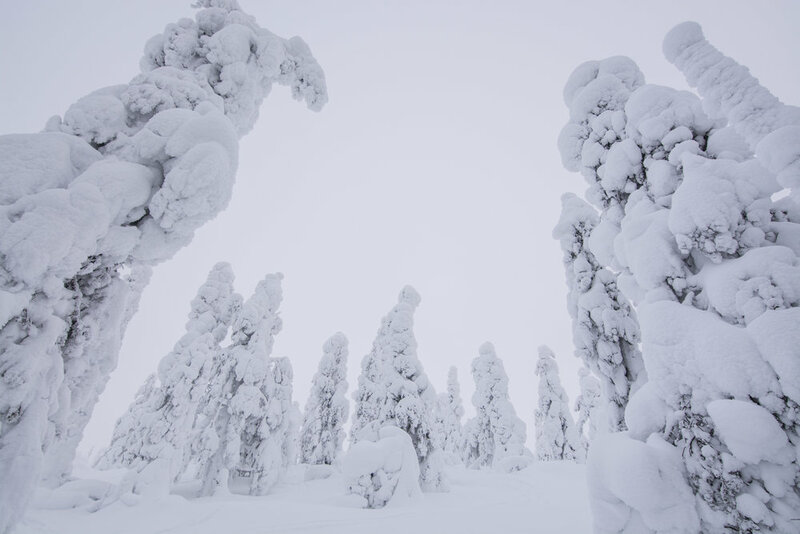 At this point you're probably tired of seeing more snow trees, but this is what northern Finland looks like. Snow, and trees. And sometimes the sky erupts out of nowhere. The day before, the temperature crept up to 40F (the average had been about 0-15F consistently) in an unusual warm spell. Most of the snow trees melted and turned back into their scraggly little forms. 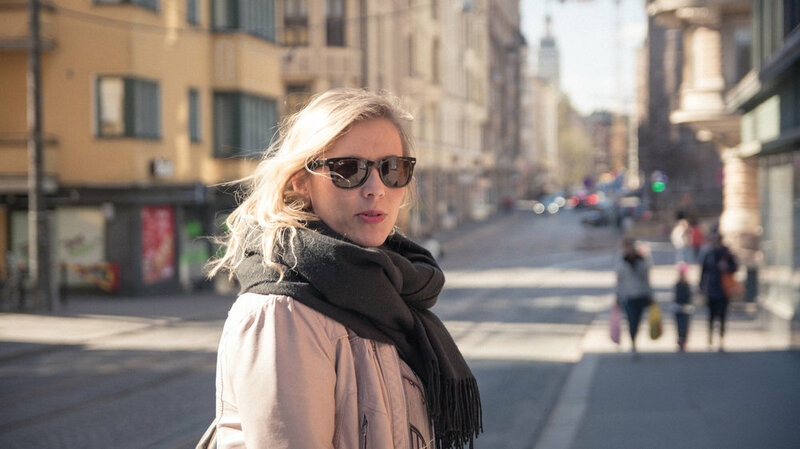 This is downtown Turku, in southwestern Finland. It's famous as a ship making city. The following pictures are from the end of my trip, and are the about 15 or so hours by car south from where the Lapland pictures took place. Most of the landscape is boreal forest mixed with jagged rocky cliffs, a lot like the Keweenaw Peninsula of Michigan. My Finnish friend Laura invited me to visit her family's "mokki" (cabin) near Kustavi on the coast. This is the road there. Perfect place to take a sauna and jump into the sea afterwards. Vappu is a long running holiday, actually one of the biggest holidays in the country behind Christmas and Midsummer. I don't really understand it other than you put on funny hats and drink all day, no matter what age you are. This is in Turku, Finland's 6th largest city. Everyone drinks in the streets, then the party continues all evening and night. In the morning everyone has a picnic. 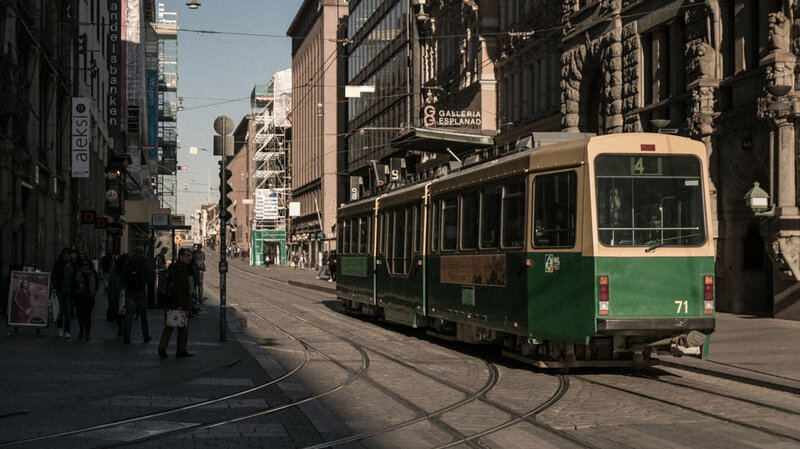 Downtown Helsinki is constantly rated as having one of the highest standards of living in the world. 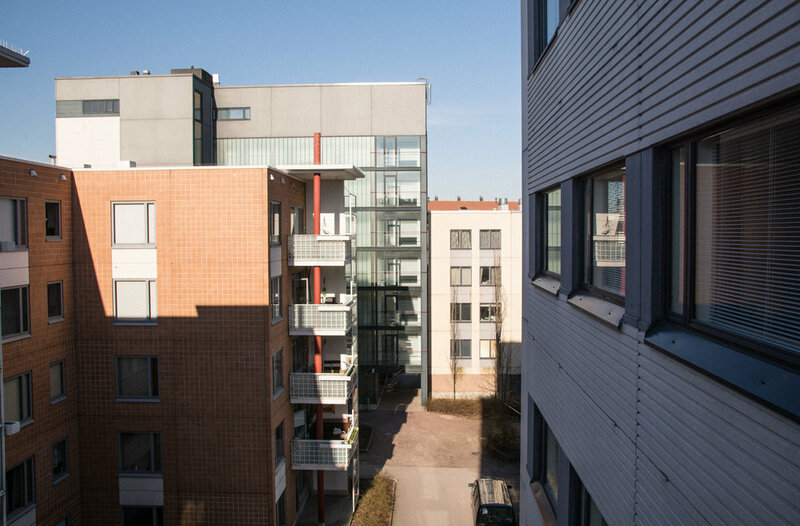 A modern apartment block in a suburb outside of Helsinki.